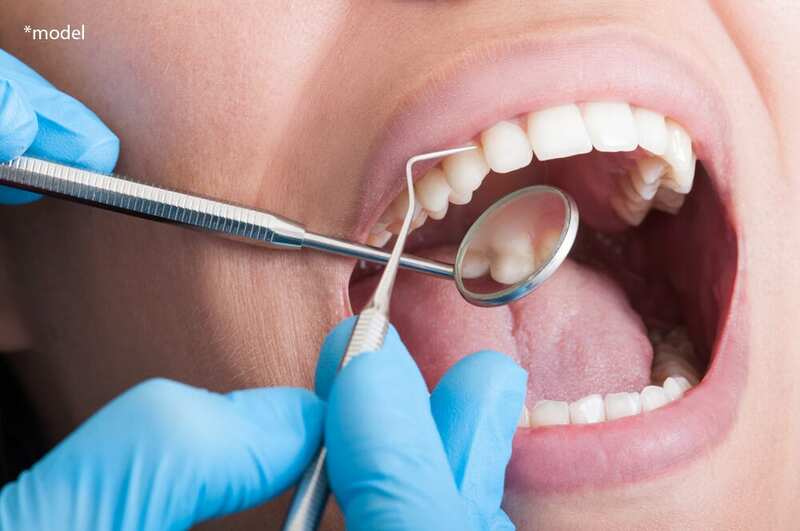 The initial stage of treatment is usually a thorough deep cleaning that may include scaling to remove dental plaque and tartar deposits beneath the gum line. 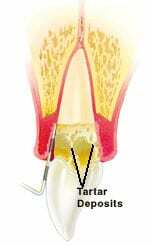 When deep pockets between teeth and gums are present, it is difficult for Dr. Salamati to thoroughly remove plaque and tartar. Patients can seldom if ever, keep these gum pockets clean and free of plaque. 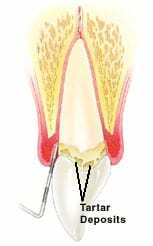 Consequently, surgery may be needed to restore periodontal health. After dental scaling and root planing, many patients do not require any further active treatment, including surgical therapy. However, the majority of patients will require ongoing dental care maintenance therapy to sustain oral health. Non-surgical therapy does have its limitations, however, and when it does not achieve periodontal health, dental surgery may be indicated to restore periodontal anatomy damaged by gum diseases and to facilitate oral hygiene practices. In some cases, systemic antibiotics (antibiotics taken orally) are prescribed at the time of scaling root planning procedures. Antibiotics are drugs that fight infections caused by bacteria. Local delivery antimicrobials are medications that are delivered directly into the periodontal pockets to suppress or eradicate periodontal bacteria. Bite splint therapy using a custom fitted and adjusted plastic bite guard to decrease excessive pressure on the teeth during the day, night or both. Braces, to reposition mal-aligned or drifted teeth. Replacement of old, worn out or damaged teeth fillings.